Happy29th birthday, Adam. I love you. I miss you. These comments speak for themselves. 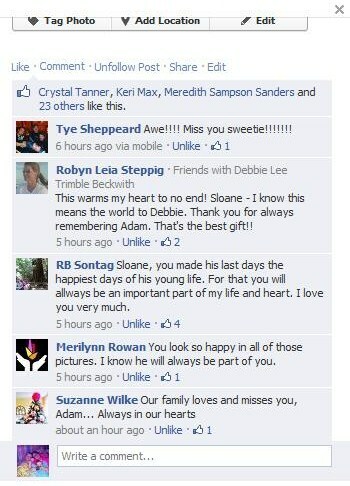 This entry was posted in * R. i. P. *, Adam Sontag. Bookmark the permalink.